On September 29th, Wisconsin Carry, Inc filed a Federal lawsuit against the City of Madison and Madison Police Chief Noble Wray. The City of Madison may not deny individuals the right to carry handguns in nonsensitive places, deprive individuals of the right to carry handguns in an arbitrary and capricious manner, or enforce its laws, customs and practices through its police department or impose regulations on the right to carry handguns that are inconsistent with the rights guaranteed by the Second Amendment to the United States Constitution and Article I, § 25 of the Wisconsin Constitution. 911 to report it to the City of Madison Police Department. The 911 caller informed the dispatcher that she didn’t know if it was an emergency, the men were doing nothing wrong and appeared totally relaxed, weren’t threatening anyone and the restaurant was full of people but they each had sidearms and she didn’t know if that was legal. Upon being informed by the 911 dispatcher that open-carry is legal the woman stated “then there is no problem and its not an emergency”. The dispatcher then suggests that if the woman is concerned or disturbed then it becomes a problem and the woman says “no they weren’t threatening anybody or acting threatening”. As these WCI members left the restaurant, they were accosted by eight (8) City of Madison police officers, who demanded that they produce identification, and threatened that if they did not do so, they would be arrested. From the time that these WCI members arrived at the restaurant up to and including the time that the police officers confronted them and demanded that they produce identification or face arrest, none of the WCI members violated any law, nor were they involved in any violent, abusive, indecent, profane, boisterous, unreasonably loud or otherwise disorderly conduct, nor did they through their conduct cause or provoke any disturbance. Wisconsin law does not allow officers to arrest for merely refusing to provide ID. 2 days later, Madison Police admitted the error in arresting and charging our members with obstruction, rescinded those tickets and instead, despite there being no disturbance, and no laws broken, issued disorderly conduct charges to all 5 of our members. By arresting our members without cause and issuing a press release detailing a policy of violating the rights of other law-abiding open-carriers who should choose to carry in Madison, Wisconsin Carry immediately took action to file a lawsuit to prevent this chilling effect on the right to Carry in Madison. We look forward to the precedent this lawsuit will set. Those who work, live, or travel to Madison are entitled to the same rights as the rest of the state. Wisconsin has a state and federal constitutionally guaranteed right to carry. 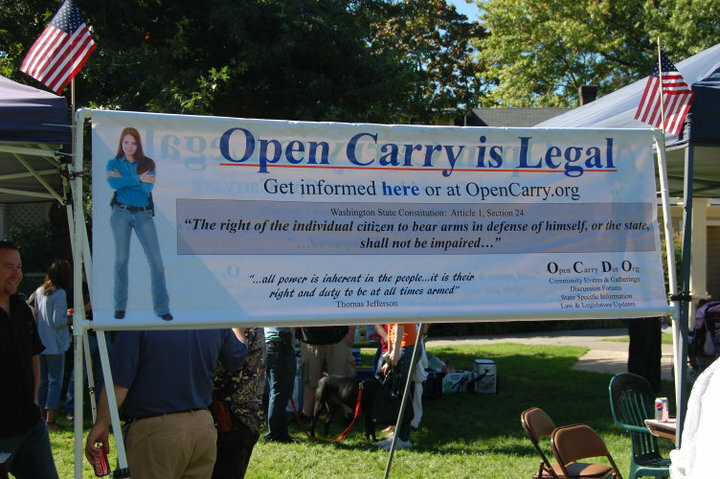 Open-carry is the only legal way to carry in this state. Wisconsin’s attorney general verified the legality of open-carry in a memo to all police chiefs and district attorney’s in 2009. The City of Madison may not deny individuals the right to carry handguns in nonsensitive places, deprive individuals of the right to carry handguns in an arbitrary and capricious manner, or enforce its laws, customs and practices through its police department or impose regulations on the right to carry handguns that are inconsistent with the rights guaranteed by the Second Amendment to the United States Constitution and Article I, § 25 of the Wisconsin Constitution. The financial support from across the country extended to Wisconsin Carry which allows us the resources to file this lawsuit has been exceptional. On behalf of WCI, our members, and freedom minded Wisconsinites who embrace the right to carry we wish to offer a special thank-you to Buckeye Firearms Foundation. Wisconsin Carry is a non-profit 100% volunteer organization dedicated to the protection and expansion of the right of law-abiding Wisconsinites to carry in the manner of their choosing; open carry or concealed carry. TAKE A LOOK AT THIS! AMERICAN FLAG IN SCHOOLS PROGRAM NOW HAS 59 STARS AND ISLAMIC CRESCENT AND MOON! WHOAH! OMG!!! Take a look at THIS! This is a booklet from the Federal Government addressing schools programs. 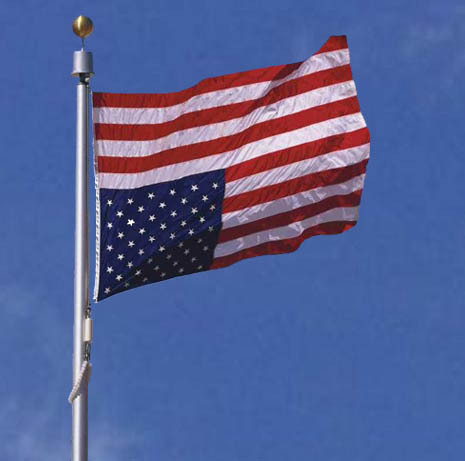 Notice the American Flag now has 59 stars and the islamic crescent and star? THIS COUNTRY IS GOING DOWN, FOLKS. WAKE UP. BEFORE THERE IS NOTHING LEFT TO SAVE! The tenth man (the richest and employer of the first 8 ) would pay $59. “Since you are all such good customers,” he said, “I’m going to reduce the cost of your daily beer by $20”. Drinks for the ten men would now cost just $80. For those who do not understand, no explanation is possible and that is where your job went. any of the others, you truly scare me. publicly denounce these radicals who wish to see America fail. [She’s got a nice shiny pic on her site posing with the “National Peoples Congress”. Of course, I’m looking into that diabolical group as well, but one of the individuals (out of 5) she’s standing with is Senator Roland Burris, who we all know is a crook. Norm Dicks and Patty Murray have been embroiled in an FBI investigation for taking hefty donations from a defense lobbying firm that exchanged political contributions for earmarks with more than 100 federal lawmakers. Dicks pushed for nine earmarks worth $20 million for PMA clients in the last few years. In return, he got $84,000 in contributions from PMA and authorities say some of the money came from made-up sources to skirt campaign finance laws. The Virginia-based lobbying firm, PMA Group, was raided by the FBI and remains under federal investigation for its shady practices and profitable connections in the U.S. Congress. Founded by a former aide to Pennsylvania Representative John Murtha, PMA specializes in getting clients hundreds of millions of dollars in earmarks from the veteran legislator who chairs the powerful Defense Appropriations Committee. Murray, a member of the Senate Appropriations Committee, requested a pair of earmarks worth nearly $5 million for PMA clients last year. She got $26,000 in PMA donations that we know of. I’m sure there’s more to uncover in this shady deal. I’m busy. John Albaugh, a longtime senior staff member to Oklahoma Representative Ernest Istook, pleaded guilty to federal conspiracy for accepting gifts, dinners, drinks, thousands of dollars worth of sporting event and concert tickets and campaign contributions from Abramoff who was seeking specific transportation legislation from Congress. Albaugh faces up to five years in prison and a $250,000 fine. Abramoff pleaded guilty in 2006 to showering lawmakers and members of their staff with upscale European vacations, sports and entertainment tickets, expensive meals and other pricey gifts in exchange for special favors. Among those busted for accepting bribes from Abramoff is Patty Murray for a cool $41,000, which she has, as far as I know, refused to return. 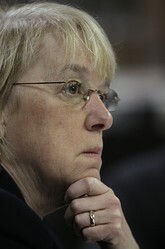 Even Wolf Blitzer and CNN were “picking” on Senator Murray for taking $10,000 in campaign contributions from the executives of Infinia Corp who she earmarked 3 million dollars for in the defense budget….. Sort of reminds you of the Guardian Marine fiasco and the helmet mounted heads-up display she earmarked for after receiving contributions as well. Those were 17 million and 6 million respectively. You remember those from the Front Line Special on earmarks, don’t you? Guardian built 4 boats that nobody requested or wanted and they ended up getting sold for a dollar. The helmet displays lost the ARMY test trials and Patty got the contract awarded to them anyway and they sit in a warehouse, unused and unauthorized to be used. It appears Patty’s campaign warchest is built on contibutions from daddy war bucks. Bill Moyers, in a Front Line piece, and CNN with Wolf Blitzer just happened across three instances where Senator Murray was given large sums of campaign contributions in exchange for earmarks worth in excess of 26 Million dollars and they are “picking on her” and “strictly partisan”? Hell, they didn’t even talk about the donations from the tribes she took from Jack Abramoff and then refused to return. Patty’s number one donor category is the trial lawyers. That should say it all. But it doesn’t. She was, at one point, rated the #1 liberal in Congress. Several individuals have tried to get her staff to investigate OSHA on an scandal that affects the health and safety of millions. Murray was the senior member of the Dept of Labor Oversight Committee at the time. Murray’s staffers were very excited about the issue, and turned ice cold when they found they couldn’t point the blame at Bush, but rather that the issue started during Clinton’s term. After that, they wouldn’t return calls or correspondence, and the problem remains today. We’ve got work to do to uncover exactly what Murray’s been up to “on our behalf”, but I intend to get to the bottom of every last tidbit. WELL BEFORE the November 2010 elections. Check Out The List Of Communists, Marxists and Radical Extremists Who Have Hijacked The Dims. Some of the Dims have no idea they’ve been hijacked. There is no such thing as the “Democratic Party” anymore. It’s going to be one HELL of a fight, folks. Buckle up. This email received this morning. More on Snopes and dishonesty. I’ve known for a while now that snopes lies, and I’m glad to see others catching on to this scheme. On several different occasions I got an answer from snopes that, after doing further research of my own, found to be leftist lies. Supported and defended by W. Scott Lewis with Campus Carry, Students for Concealed Carry on Campus and Concealed Campus. How very sad that those organizations have turned out to be as anti-American as B.O. and his evil regime. I told Scott Lewis TWICE to stop sending me email. He instead chose to send more email, and post in various forums (including Colbert’s!) attempting to demonize and ridicule me and this effort to expose snopes for what they are. He’s a schill for this regime. For the past few years ( http://www.snopescom/ has positioned itself, or others have labeled it, as the ‘tell-all final word’ on any comment, claim and email. But for several years people tried to find out who exactly was behind snopes.com . It is run by a husband and wife team – that’s right, no big office of investigators and researchers, no team of lawyers. It’s just a mom-and-pop operation that began as a hobby. David and Barbara Mikkelson in the San Fernando Valley of California started the website about 13 years ago and they have no formal background or experience in investigative research. A few months ago, when my State Farm agent Bud Gregg in Mandeville hoisted a political sign referencing Barack Obama and made a big splash across the Internet, ‘supposedly’ the Mikkelson’s claim to have researched this issue before posting their findings on snopes.com . In their statement they claimed the corporate office of State Farm pressured Gregg into taking down the sign, when in fact nothing of the sort ‘ever’ took place. I personally contacted David Mikkelson (and he replied back to me) thinking he would want to get to the bottom of this and I gave him Bud Gregg’s contact phone numbers – and Bud was going to give him phone numbers to the big exec’s at State Farm in Illinois who would have been willing to speak with him about it. He never called Bud. In fact, I learned from Bud Gregg that no one from snopes.com ever contacted anyone with State Farm. So, I say this now to everyone who goes to snopes.com to get what they think to be the bottom line fact ‘proceed with caution.’ Take what it says at face value and nothing more. Use it only to lead you to their references where you can link to and read the sources for yourself. Plus, you can always search a subject and do the research yourself. Many videos of Obama I tried to verify on Snopes and they said they were False. 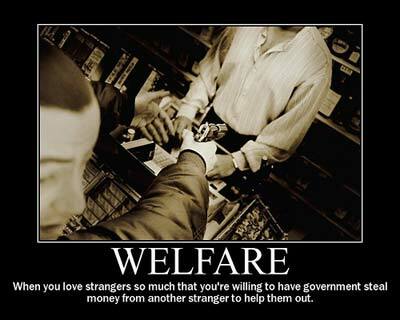 Then they gave their liberal slant! I have suspected some problems with snopes for some time now, but I have only caught them in half-truths. If there is any subjectivity they do an immediate full left rudder. SNOPES LIES. Snopes is a HOAX. A Leftist HOAX.